The Russo-Japanese War was in essence a colonial conflict between the expanding interests of Russia and Japan in East Asia. However, while appearing regional, the war itself in fact had a major global impact. The conflict and Japanese victory stimulated the Russian revolutionary movement in 1905 and hence the Russian Revolution of 1917. In addition, the Peace Treaty of Portsmouth created a tension between the United States and Japan that would establish the starting point for the road directly leading to Pearl Harbor in 1941. Eventually the war had a major impact on Germany, whose diplomats wanted to use the war to bind St Petersburg to Berlin, and whose military planners closely observed the events to prepare themselves for the next possible conflict. This book makes a strong argument for the consideration of initially minor events in the analysis of global history. 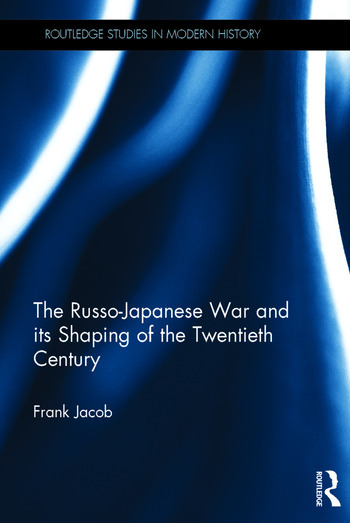 By describing and analyzing the interrelationship between the events in East Asia and the major developments in Europe and the United States, it shows the significance of the Russo-Japanese War as a key factor in determining the most momentous historical events of the twentieth century: The First World War, the Second World War, and the Cold War. Frank Jacob is Assistant Professor of World History at Queensborough Community College of the City University of New York, USA.